This is the second in a two part series on Atalanta BC. The first part can be read here. Given that they are continuously faced by clubs with far larger resources, the fact that Atalanta not only compete well at a national youth level but have actually registered a number of important wins in their history is perhaps the biggest proof of the quality of work that they do. Contrary to what some presume there are no secrets to their success, just a number of factors that when put together contribute to a system that is far better than most at doing what it should be doing: developing players who are good enough to play for the club at the highest level. Although this might seem obvious, it is often overlooked when reasons for a youth system’s success are looked at. No matter how good the ideas, regardless of the quality of the players that are recruited and irrespective of the amounts invested in facilities there can be no success if there aren’t the right coaches in place. This means that the coaches must be able to pass on their knowledge to those put in their charge; competent people who are the right fit with the age group that they are assigned to and who know how to help the individuals progress. But there is more to it than that. They have to be people who know in detail what the club is trying to achieve and how their teams play. They know the value that is placed on technique and creativity, attributes that are encouraged here more than anywhere else in Italy. More significantly, they must be fully convinced that it is the best way to proceed. If that conviction is missing then sooner or later it will come out and it will show in their work. True to form, Atalanta are very selective in deciding who gets a job within their Settore Giovanile (Youth Sector) with their preference frequently falling on individuals who have gone through their system or have played for the club. Their Under 18 side is coached by Valter Bonacina (265 games for Atalanta) whilst their Under 16s are in the hands of Sergio Porrini (100 games for Atalanta as well as a Champions League winner with Juventus). It has always been that way: current Italian national team manager (and a man with 116 appearances in the black and blue shirts) Cesare Prandelli spent almost a decade working within the Atalanta youth system handling various age groups before he took his first steps in the pro game. And that is how it will continue to be because it ensures the presence of people who have gone through the experience themselves. There is no one who can be as convinced about the system’s validity more than those whose careers have largely been the result of the work they did within that same system. For the kids placed in their charge they are examples of what might be achieved if they work hard enough. Or, if the coach isn’t someone who progressed beyond playing for Atalanta’s youth sides, there is confirmation that the club will keep on looking out for you regardless of how good you happen to be. As with most Italian sides, Atalanta have very close links with a number of youth clubs. These clubs, usually village sides or teams from particular neighbourhoods, get backing from the professional teams either in the form of coaching or else financial (the sums aren’t typically very significant ones but enough to help them cover some expenses like new kits) in exchange for informing them about any particularly talented individual they come across. It is a very healthy symbiosis where the professional sides put something back into the grassroots game while ensuring that they cast as wide a net as possible to discover talents. Perhaps the big difference that Atalanta have with the rest is that, as much as possible, they try recruit locally. That is not to say that there haven’t been exceptions –there have been recruits from South America, Eastern Europe and Africa – but these are largely one-offs. Instead Atalanta go for local boys with the main reason again being cultural: these players have less of a hard time to integrate and settle in, making their footballing education run all the smoother. At many clubs, the future of a lot of players is sacrificed in order to ensure that the one or two who are seen as the brightest prospects manage to develop and their talents maximised. Others put their focus on the team results, looking to boost their profile by winning at youth level but without succeeding in the ultimate goal of any youth system which is that of seeing any talent progress into the first team. Not so Atalanta where every player is important. The progress of each individual who enters their system is tracked with coaches setting goals for each one which are then communicated and agree by the players. This ensures that everyone knows what they have to work on and where they need to improve. Whether they do so, and to what extent, allows the people at the club to determine what comes next and how they can ensure that there is further progress. There is absolute commitment from the part of the club that when an eight year old is signed everything will be done so that he goes all the way. The fact that some of these players even get opportunities coaching within the youth sector, allowing to have a career in football even if it isn’t a player, helps reinforce the image of Atalanta as a club that genuinely cares for ‘its boys’. Equally, their commitment to local players avoids the (common) situation where a player who has come through the junior ages is suddenly forced out with his place going either to someone brought in either from another Italian club or else from overseas. Any manager who comes in at Atalanta will be well aware of what the club is all about and must be willing to work within those parameters. This means that they must be willing to play the club’s young players, giving them the opportunities to grow and show their worth. This also means that if a player attracts the attention of a bigger side then they must be ready to lose him if a good enough offer comes in. Atalanta offers managers a great opportunity to forge their reputations – as many have done – but it also offers a challenge that is unique in Italian football. Current manager Stefano Colantuono knows all about it. His first spell in charge ended when he moved to Palermo, lured by the promise of a club with the reputation of more heightened ambition than Atalanta. Yet his time there ended after just a few months; engulfed by the chaos and lack of patience of a club that is the polar opposite to Atalanta. It is an experience that probably helped him understand and appreciate better both what he has at Atalanta and also what he has to do. 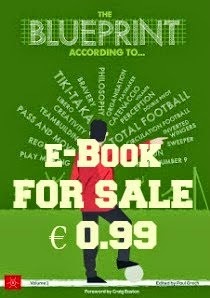 Out of the fifteen players who made more than ten appearances last season – one in which they comfortably retained their top flight status - six (Daniele Baselli, Gian Bellini, Giacomo Bonaventura, Davide Brivio, Andrea Consigli and Cristian Raimondi roughly 40%) came from their youth team. Plenty more got their first taste of Serie A with Colantuono testing them to see how they would do. Of those who played regularly, the most impressive was attacking midfielder Giacomo Bonaventura who earned an Italy cap and was close to making it into their World Cup squad. Yet he is unlikely to be there when the season kicks off again in September, continuing a tradition of seeing their best players move to bigger sides. To replace him, and to strengthen the team, Atalanta look first and foremost within. That might seem as an obvious place to start but it is a big departure from other clubs’ normal practise. In truth, Atalanta do their best to assist their players’ development. As with many other Italian clubs, they send a lot of players out on loan (in excess of forty last season) all over the country at different levels. The fact in itself that a lot of these have come through Atalanta’s system is a guarantee of their potential, meaning that there are many willing to take a bet on their youngsters. The progress of these players is monitored closely. The main aim is that of seeing how they handle the experience, looking for indications as to whether they can step up. But it is also a way of putting these players in the shop window, giving them the best opportunity of making a career out of football even if it isn’t in Atalanta’s colours. 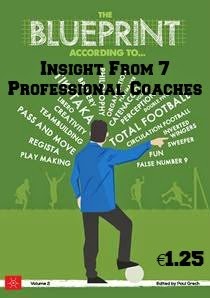 If you enjoyed this article you will probably enjoy our debut e-book Blueprint for Football According To...Volume 1 where six football coaches with experiences from around the world talk about their blueprint for the game. Blueprint for Football can be followed on Twitter and Facebook.